What is responsible lending and affordability? Responsible lending is to act in a customer’s best interests, ensuring affordability, transparency of terms and conditions and supporting a borrower if they experience repayment difficulties. 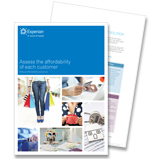 Discover our free guide to fair, responsible and effective affordability assessments. Lenders have a responsibility to make sure borrowers understand the details of a loan and carry out thorough checks on any borrowers, so they can be confident that what customers will receive will be suitable for their circumstances. Central to responsible lending is an assessment of customer affordability. Managing affordability is a significant challenge for the UK credit industry and is a top priority for the FCA. The FCA’s guidance on a customer’s ability to pay and responsible lending, states a firm must be able to show that the customer’s ability to repay was taken into account. In addition, lenders must take account of the customer’s actual or reasonably anticipated income, in reaching a decision on whether to enter into a mortgage contract. More recently, in May 2013, the FCA launched a consultation paper, Mortgage Market Review (MMR) Data Reporting, whereby it sets out the sort of information they want mortgage providers to supply to them as part of their mandatory reporting requirements. If implemented as worded, the requirements relevant to affordability will be substantially increased and therefore mortgage providers will need to be in a position to supply much more detailed information, including total credit commitments for all borrowers and total monthly payments on those commitments. Affordability metrics such as Effective Disposable Income (EDI) allow lenders to be consistent with the requirements of independence laid out in the MMR whilst achieving a more accurate, timely and independent view of affordability. Data Strategy – Review the data used within the affordability assessment process ensuring it is fit for purpose. Balance the need for data capture with usage of data from other available sources. Algorithm Design – Ensure that indebtedness and affordability algorithms are well designed and clearly documented. Consider how income and disposable income are estimated and what tolerances are in the algorithms. Policy Design – Overall decisions should be based on risk, indebtedness and current/future affordability. The rigour of the assessment should be consistent with the credit exposure. Again, the policy should be well documented. Process – Indebtedness and affordability assessment should be carried out throughout the customer lifecycle; origination, customer management, pre-delinquency, collections and debt recovery. Use an affordability assessment within automated and manual decision making processes. Systems – Make sure that algorithms can be easily implemented and amended. Monitoring – Monitor the performance of your affordability assessment and update accordingly. Becoming compliant with the new mortgage regulations, whilst maintaining a competitive advantage and improving customer service will require fresh ideas, innovative thinking and new ways of working. Experian’s range of bureau-based affordability solutions will help and while the current solutions meet the needs of lenders to increase efficiency and comply with mortgage reform, Experian is always looking for ways to make them even better. The MMR rules will come into effect on 26th April 2014, giving firms less than a year to implement any changes. One measure, which is to prevent those borrowers ‘trapped’ in their mortgage because of today’s tightened lending criteria from being treated any less favourably than other borrowers, will be activated immediately. The FCA intends to conduct a formal review within five years of implementation.